Reitz & Jens prepared designs, plans, specifications, and construction cost estimates for creating approximately 808 acres of managed wetlands, and 300 acres of opportunistic wetland areas within the Columbia Bottom Conservation Area. The wetlands will be created within the levee-protected portion of the 4318-acre Area at the Confluence of the Missouri and Mississippi Rivers. The entire site is within the 100-year floodplain of these two great Rivers. 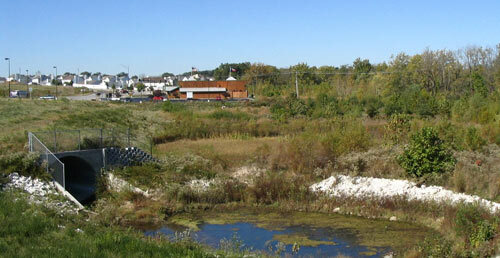 The project also included design and plans for setting back approximately 8000 lineal feet of an on-site agricultural levee, and design of a river pump station and distribution piping to supply each of the 7 managed wetland areas which were above the 15 day flood elevations of the adjacent rivers. Sections and alignments of access roadways. 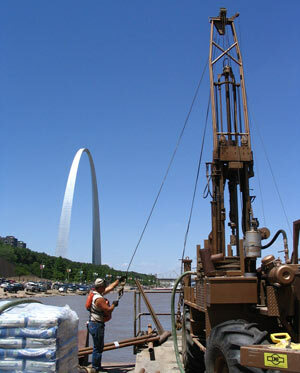 Detailed geotechnical investigations and recommendations for all improvements. The geotechnical investigation included detailed review of historic records and percolation tests throughout the site followed by over 5000 lineal feet of shallow test trenches to determine the soil horizons within the top 5 feet. The hydrologic analysis found the site interior to be high to the point where annual precipitation and river stage alone would not provide the needed wetland hydrology and a supplemental water source was required. Groundwater analysis found a high iron content, which would make water supply wells prohibitively expensive, and an 18,000 GPM river pump station and water distribution system was selected. HEC-1 routing of design storm flows established emergency spillway sizes needed told limit the increase in each wetland pool elevation to no more than 6? during the 100-year event and to prevent any off-site ponding. 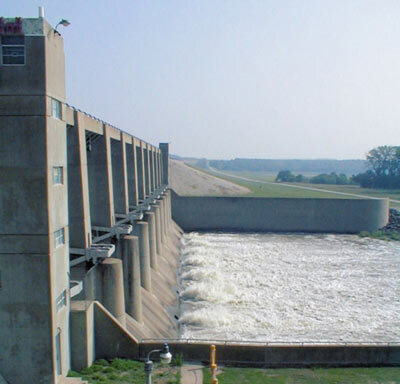 Reitz & Jen was issued a separate subcontract by the Missouri Department of Conservation to provide all geotechnical services during design and construction of infrastructure improvements throughout this site. These improvements included a new confluence viewing platforms, river fishing pier, over 3 miles of roadway, and parking lots.